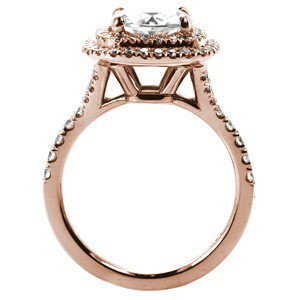 If you’re looking for a rose gold engagement ring in sunny San Diego, California, look no further than Knox Jewelers. Rather than fight traffic, simply sit back and browse our extensive online gallery from your desk or your beach chair. 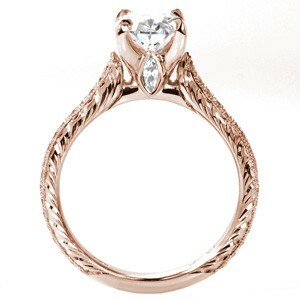 If you can’t find exactly what you’re looking for, our skilled artisans are happy to work with you to create a custom rose gold engagement ring that is sure to get an emphatic “Yes!” from the one you love. 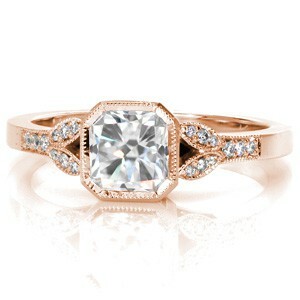 Once you have the ring of their dreams, all you need is a romantic proposal plan. San Diego has so many beautiful locations: from beaches, parks, and gardens, to wineries, art galleries, and museums, the choices can be overwhelming. Let Knox Jewelers continue to make life easier for you. Here are a few of our favorite scenarios for proposing in San Diego. Consider taking your sweetheart on a little adventure to the only land-accessible sea cave in California. Dubbed the Sunny Jim Sea Cave by famed author of The Wizard of Oz, Frank L. Baum, the walls of this cave are quite colorful from deposits of minerals and kelp. Descend together down a 145-step tunnel to experience the reds, yellows, pinks and purples of this historical landmark. 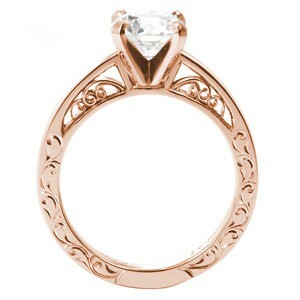 Once inside the beautiful cave, look for the best spot to get on one knee. 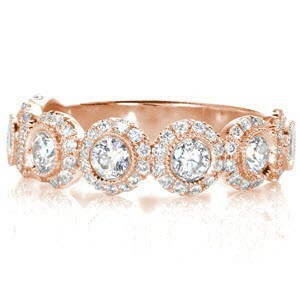 When you open the Knox Jewelers box, they will forget about the colors on the wall, their eyes instead drawn to the vintage rose gold engagement ring you are offering with all your heart. If you’d rather have a “soothing beach escape” than a beach adventure, visit Spa at L’Auberge in Del Mar for their aptly named body treatment. Or, reserve one of three indulgent couple’s experiences at Spa at Rancho Valencia and spend a day of relaxation and pampering together. Choose from the Lovers Ritual, designed to bring couples closer together, the Sensual Plunge, an intimate treatment for two that includes a fragrant citrus and floral infused soak, or the Outdoor Duet Suite for dual treatment in a private lounge tucked away amid lush landscaping. 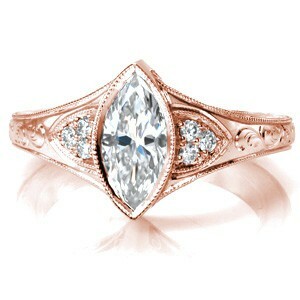 Wherever you decide to go for a shared pampering experience, when you present the unique rose gold engagement ring you designed and propose sharing your life, your partner will melt even more than they did on the massage table. Or, if you and your honey enjoy taking long walks together, go for a sunset stroll along the Embarcadero near SeaPort Village. Plan to wind up at Edgewater Grill or Harbor House for a delicious meal with beautiful views of the water. There’s even an oyster bar at Harbor House, if you want to add a little aphrodisiac magic to the evening. You’ll have many opportunities to propose, either during your romantic walk or perhaps during dessert, but we suggest popping the question before dinner and using the meal to celebrate. 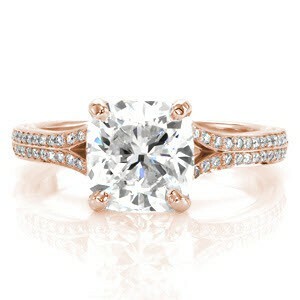 Either way, they won’t be able to stop looking at their new rose gold engagement ring sparkling in the light of the setting sun. If you’re both movie-lovers, take your sweetie to one of the few remaining drive-in theaters in the country. The theatre in South Bay has been updated a few times since it opened in 1958. Now, this drive-in boasts three screens, Technalight Projectors, and a crystal clear FM stereo transmitter system so you no longer need to hang a speaker in your window. No matter where you choose to propose, you can rest assured knowing that the Knox Jewelers ring you present will become a family heirloom. 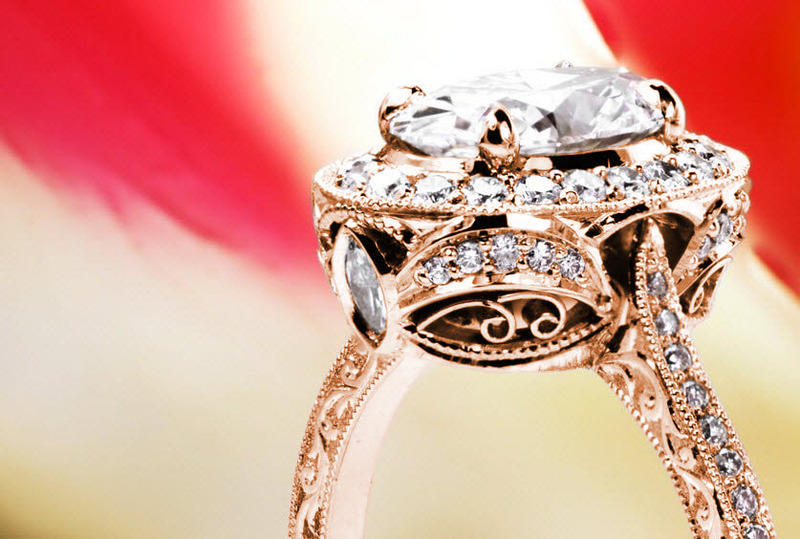 The quality of our craftsmanship ensures your special ring will be passed down for generations to come.